The bout will be a huge test for the Lutonian whose opponent won gold in the European Championships in 2017, backing that up with a silver medal the following year. 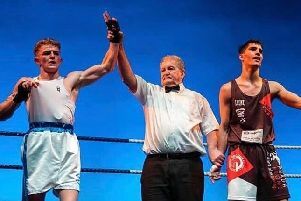 King who is currently the U69kg England Youth champion said: “It is fantastic that England Boxing have selected me to compete for the new Youth title belt. “I take real pride in pulling on an England vest and representing my country and I am so looking forward to doing it again. This news also comes on the back of England Boxing extending King’s time with them for another 12 months until March 2020. King attended the England Boxing Induction and ‘Kitting Out’ Day at the English Institute of Sport based in Sheffield at the weekend.